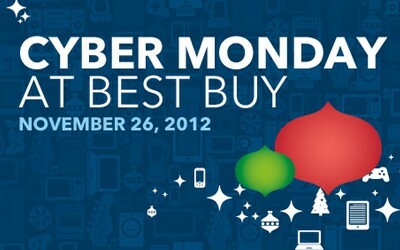 No surprise here, today’s post is nothing but Cyber Monday deals! Here are some of the sites I’ll be surfing today. Are you ready? Point and Click! And here’s a little holiday music to get you in the shopping mood! Kate Spade. 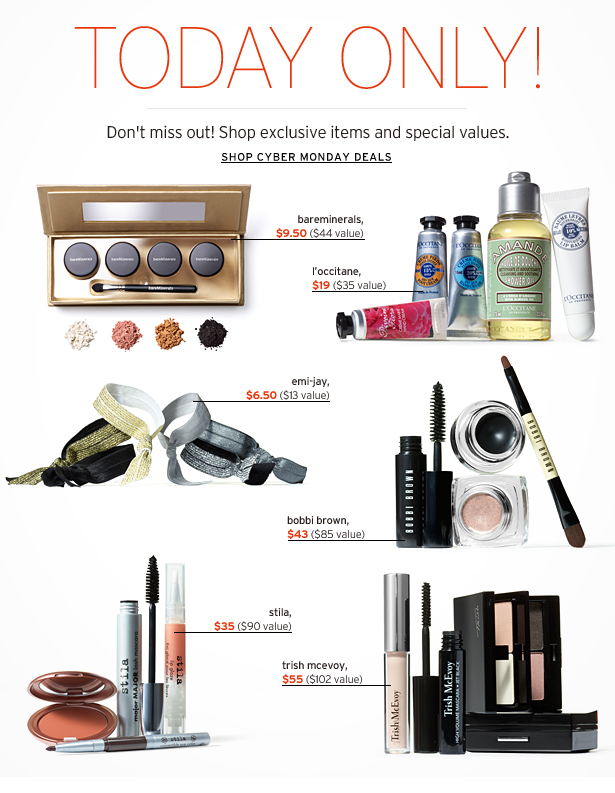 Enjoy up to 75% off and, when you spend $200 or more, free shipping, Kate’s treat! Exclusively online. @thisthatbeauty for all the beauty products a Doll needs. Starbucks. 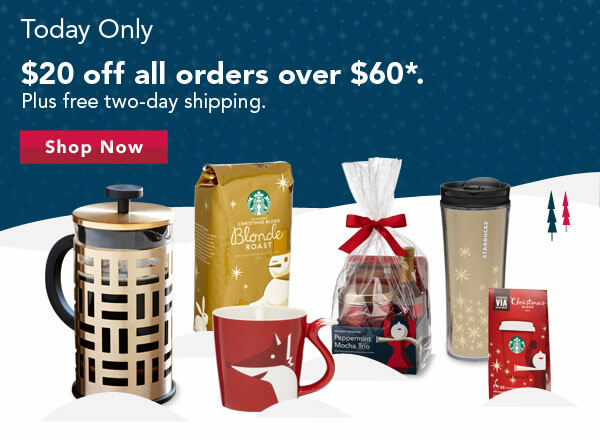 Cyber Monday only: $20 off + FREE two-day shipping. Amazon. Need more be said! Nordstrom’s. Free shipping and free returns. Effie’s Paper. 20% off today only. Enter CYBERMON at checkout. Shop It To Me. 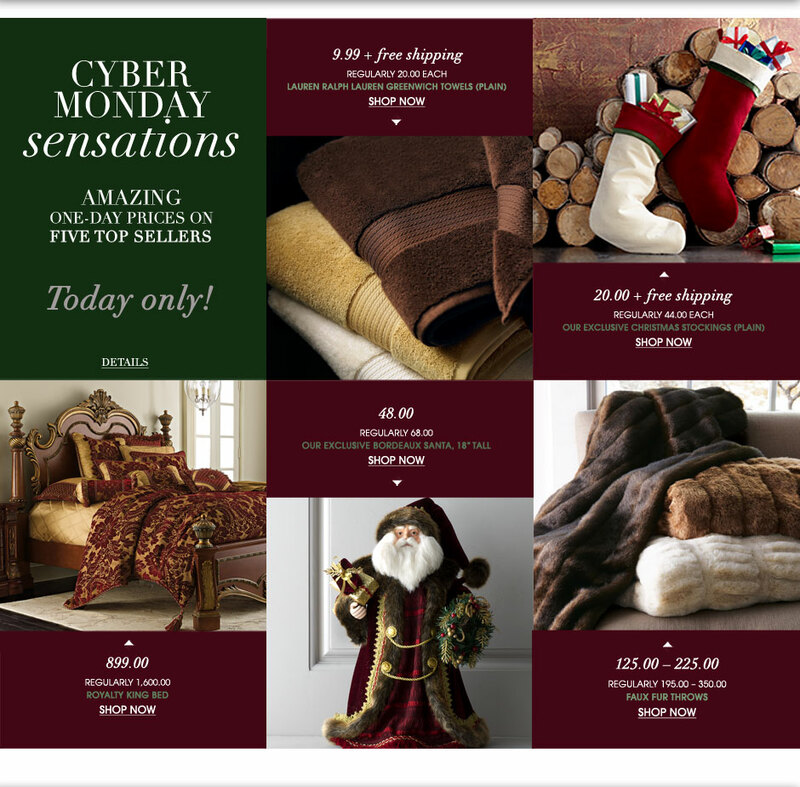 Spend $300 get 20% off; $500 get 25% off; $750 get 30% off w/ code GIFTFORYOU. Best Buy. 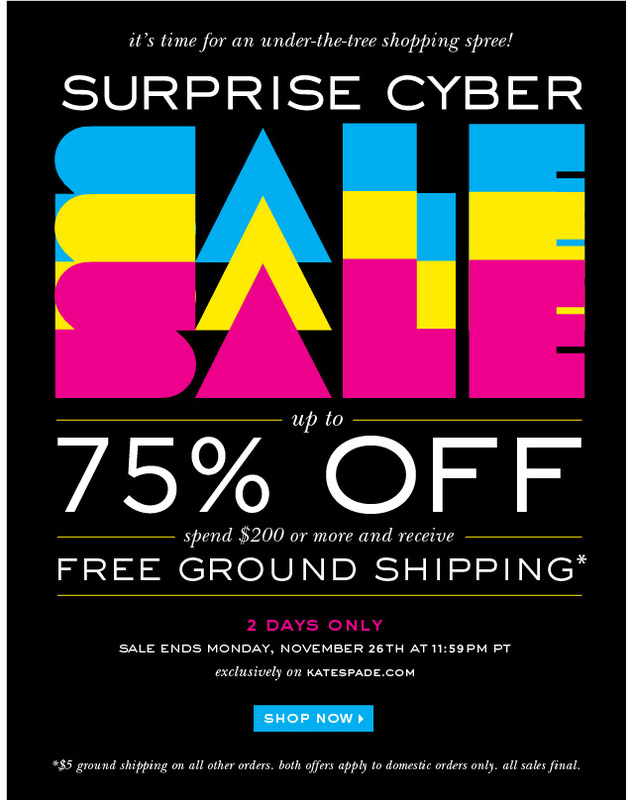 2-Day Cyber Sale; Free $25 savings code with store pickup on purchases $250 or more.